He didn’t score a goal in the playoffs, but Josh Anderson played a key role defensively in helping the Swift Current Broncos capture the Ed Chynoweth Cup. 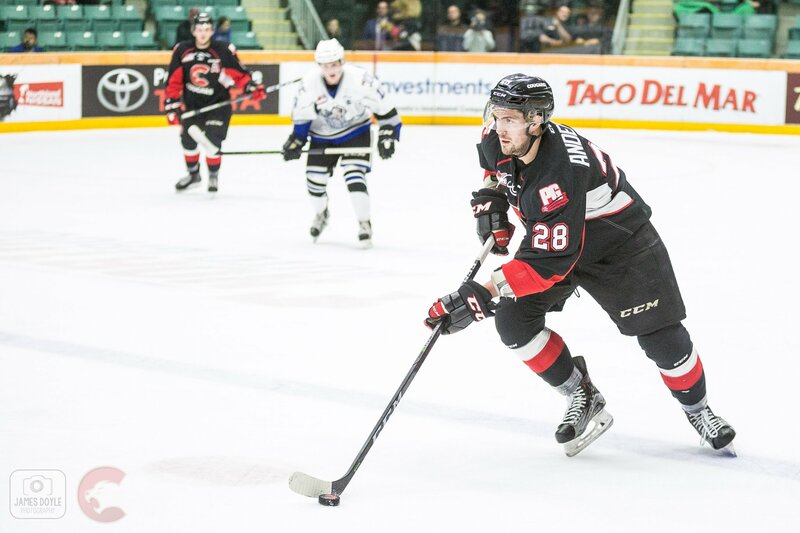 The Broncos acquired the 19-year-old Anderson just prior to the January 10th WHL trade deadline from the Prince George Cougars in return for a pair of first round Bantam draft picks (one this year and the other in 2019). 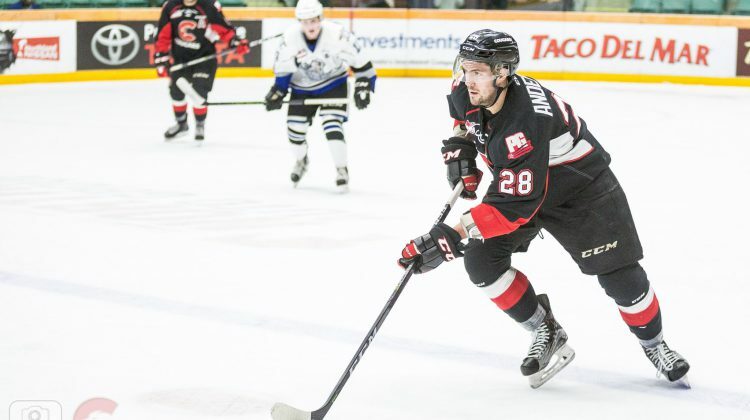 Swift Current played in a league record 26 playoff games and Anderson was on the ice for each of them, picking up two assists and 15 penalty minutes. The six-foot-three, 220-pound product of Duncan signed a three-year, entry-level contract with the Colorado Avalanche in late March. He was selected by the Avalanche in the third round, 71st overall, of the 2016 NHL Draft. The Broncos blanked the Everett Silvertips 3-0 to win their third WHL title, four games to two. The other two championships for Swift Current came in 1989 and 1989. Congrats to @SCBroncos! @TheWHL’s Ed Chynoweth Cup Champions are #MCMemorialCup bound for the first time since 1993. The field is set for the Memorial Cup which begins Friday in Regina. The host Pats line-up includes former PG Cougar Jesse Gabrielle. The Hamilton Bulldogs won the OHL playoff title, knocking off the Soo Greyhounds in six games. The QMJHL championship was won by Acadie-Bathurst Titan. Final 4 is set for #MCMemorialCup!